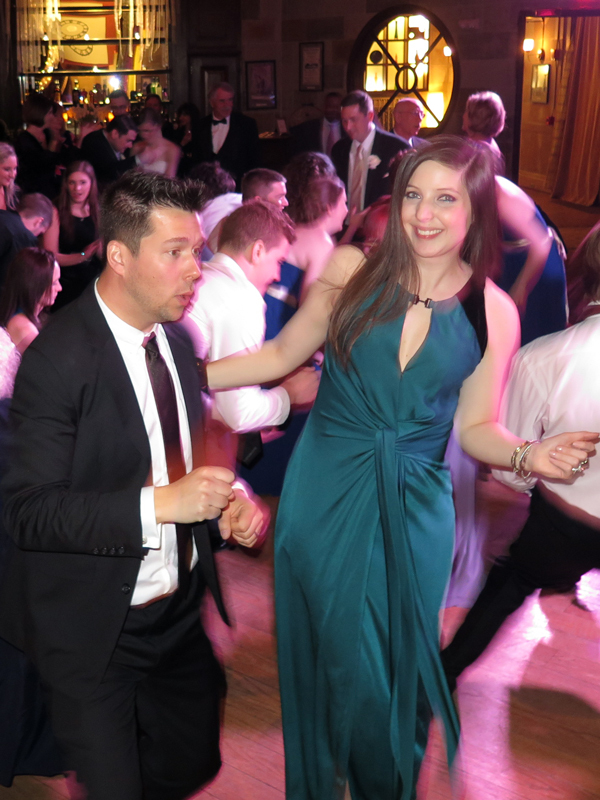 Last weekend we woke up out of this long winter hibernation to stretch our legs on the dance floor of a lovely family wedding at The Society Room in Hartford, CT. The unique building, constructed in 1893 to house the Society for Savings mutual savings bank, still boasts the exquisite gilded ceiling, original light fixtures and even the bank vault itself. Fortunately, my Halston Heritage gown, with its angled velvet panels, deep-v keyhole neckline and twisted drape front felt appropriately art deco for the setting. 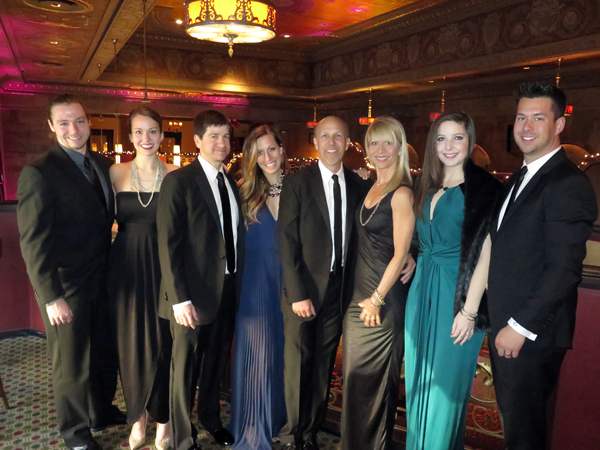 Although no custom shoes were involved in the event, the gathering of family, historic surroundings, a rocking band and some fabulous black-tie fashion made for an excellent evening out to kick off the spring season. 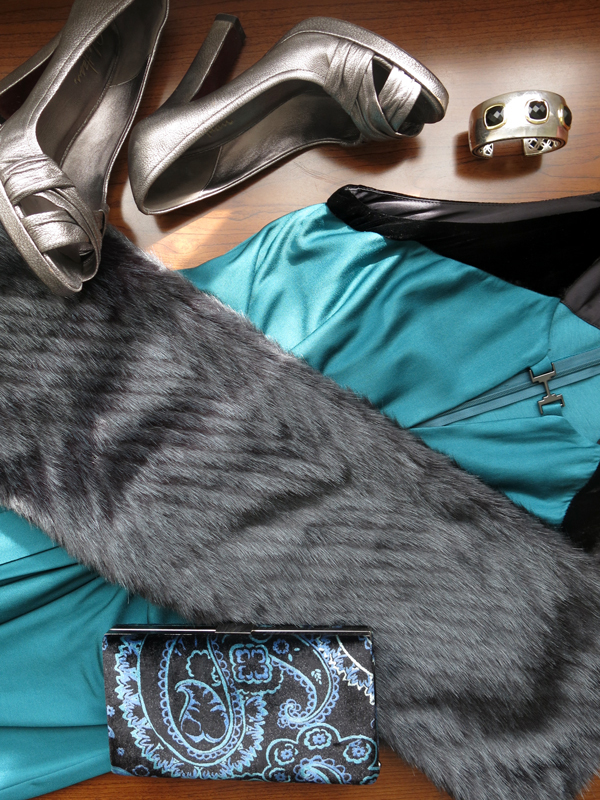 Halston Heritage draped jersey twisted-front gown, Maison Scotch faux fur stole, Cole Haan pewter peep toe pumps, Banana Republic paisley velvet clutch, David Yurman jewelry. 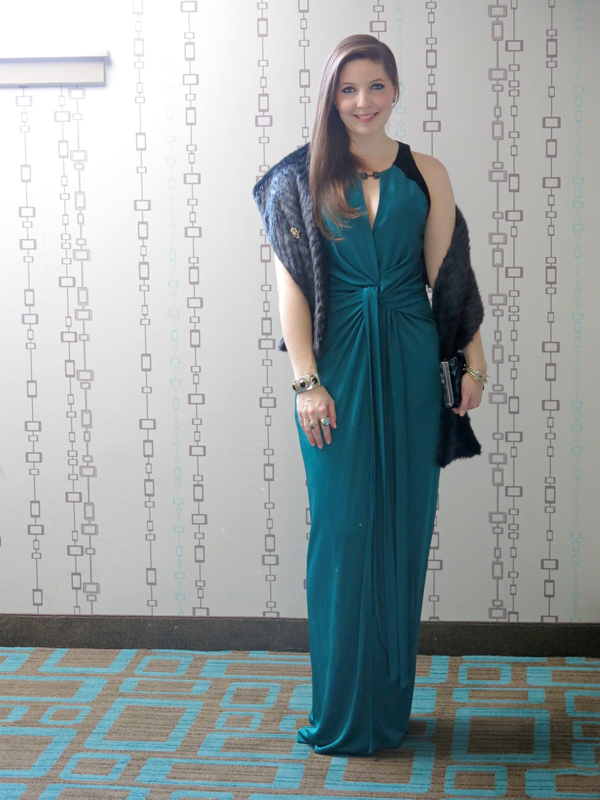 This entry was posted in fashion, katie, travels. Bookmark the permalink.